Produced from the Aglianico vine, already known in Roman times as 'Vitis Hellenica', cultivated in the center of the Contrada Iampenna area in the Cinque Querce vineyard, in Agro di Montemarano (AV). A careful and strict selection of the grapes gives rise to this ruby red wine, aged for over 2.5 years in oak and aged for no less than 6 months in the bottle. To tell Salvatore Molettieri and his company is to find the thread and the sense of a territorial identity that keeps itself constantly alive and slowly matures full-bodied fruits. Like the Aglianico, this vine has now become part of the wine-making legend of Campania, from whose grapes Salvatore obtains wines which, according to experts, aspire to become a term of comparison for the reds of Irpinia. History: a success over thirty years The Salvatore Molettieri Winery was established in 1983, giving entrepreneurial dignity to a long peasant experience and a winemaking tradition that dates back in time to at least four generations. From that year Salvatore, owner of the company, chooses not to sell his grapes to third parties and to start producing his own wine that sells in bulk. This first production achieved important successes already during the Wine Festival of Montemarano, his country of origin, ranking first in the years 1985-1986-1987-1988. 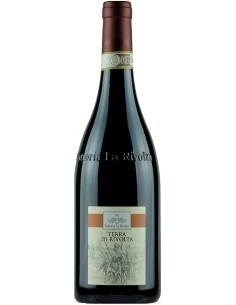 In that year, Salvatore also included the bottling process in his business, giving life to the Taurasi DOC Riserva 1988. A long work in the ancient family vineyards and thirty years of corporate experience have implemented the knowledge of Salvatore, winemaker on the field and producer in the cellar, leading the company to occupy a prominent position on the national and international wine market. Since 1983, the company has evolved considerably, while retaining its original identity as a farm that is also maintained in the cultivation of about two hectares of olive groves where different cultivars (frantoiana, leccina, ravece) are grown for the production of an oil blend for family consumption. Salvatore Molettieri is the Giant of the Aglianico of Montemarano. 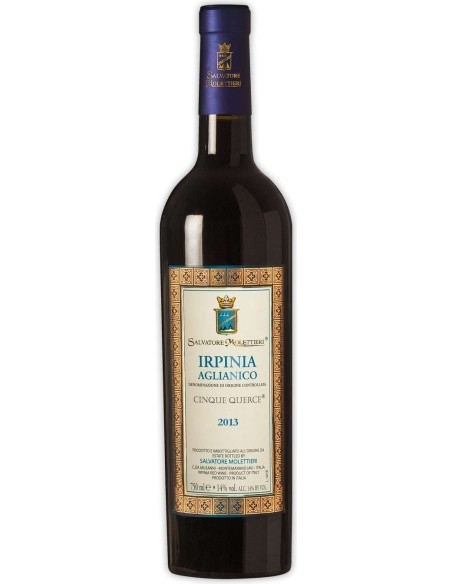 An Aglianico, his, which boasts a robustness today unknown to the major Irpinia wines, but which allows its Taurasi to enjoy a very long life and to show, even after many years, a character that few wines possess. 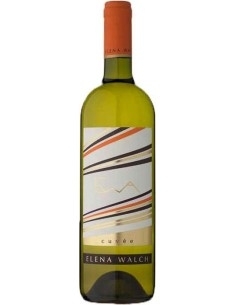 A character that immediately refers to that of Salvatore, a tenacious winemaker with his feet and heart firmly rooted in his territory, Montemarano. Son of one of the most genuine peasant traditions, Salvatore has kept the idea of ​​the land as a value, making his vineyards a masterpiece of experience and innovation. Gentleman by nature, he has transformed the imprint of a strong and gentle soul into his production, creating wines that one cannot help but appreciate. The ripe bunches hang from the rows, lined up in a clayey and not very calcareous soil, with their load of alcohol and natural sugars, which at the pressing will release all the balsamic scents that will become the precious dowry of its wines. Several plots cultivated with vineyards and lying on the highest part of the hills of Montemarano, where the vines benefit from a continental climate, with strong temperature ranges, which allow for late harvests and a slow maturation that is renewed in the slow refinement necessary for each bottle express yourself to the fullest. The Vigna Cinque Querce, in particular, due to its location and the breeding techniques used, represents the company cru, which gives freshness and aromas with meditation wines after more than three decades. Whether he is a younger Aglianico, old-fashioned or softer Taurasi DOCG as interpreted by the Renonno label, Salvatore Molettieri follows each of his creatures with the careful devotion that every good father puts in raising children. The results speak for themselves: a glass of Molettieri is savored first with the view, which enjoys a range of reds ranging from ruby ​​to orange reds, depending on the year; then with the nose, which plunges into the glass to inhale aromas of undergrowth, herbaceous or mature like a good tobacco, and finally lets itself slide slowly into the mouth, wrapping the palate with a whole range of extremely pleasant sensations, from robust sapidity to the long and fresh persistence. A gift, in short, more than a product, for those who make wine the object of true culture and pure pleasure. Camarato is a red wine from Campania produced by Villa Matilde. 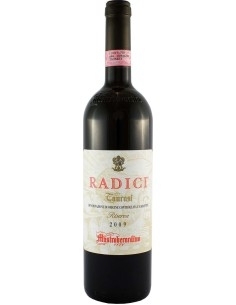 It has an intense and persistent aroma, with hints of coffee, berries and chocolate. 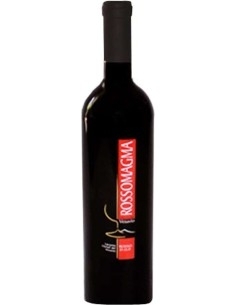 It has a very velvety, soft and elegant taste. Dolcetto d'Alba is a DOC red wine produced by Elio Grasso in Piedmont. 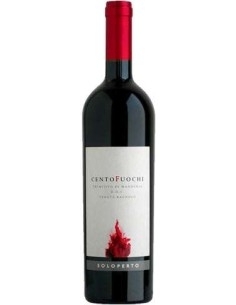 Scent of fragrant fragrant aromas and berries; the taste is fresh and vinous.